Home Travel 7 Most Beautiful Places You Must Visit Before You Die! Our planet earth consists of every single terrain you could possibly imagine. From snow-capped mountains to green rain forests. From dry orange deserts to sun kissed beaches. Unlike other planets, we have multiple terrains. However, some of the locations are located in the most remote areas of our planet. It could be very expensive or risky to visit some of the locations. But it is worth it in the end to explore such picturesque locations once in a lifetime. Below are 7 Most Beautiful Places You Must Visit Before You Die. These places must be on everyone’s bucket list. Everyone is familiar of Japan also known as the land of the rising sun. Kids know it for its huge anime industry while the adults know it for its automotive industry and world war history. Apart from these Japan is a very good holiday destination for the tourists. Japan’s Okinawa consists of more than 160 islands. Out of these islands, 49 are inhabited with people. They remain accessible by air and sea. The islands of Okinawa provides a visual treat for the nature lovers. The islands have the densest forests, active volcanoes and many more. If you are a mythologist then Okinawa provides you the greatest exposure to understand Japanese mythological ancestry. Moreover, the food lovers Okinawa offers one of the best seafood cuisines. I bet you have seen many fairy tales and animated movies for kids. But this place brings them in real life. 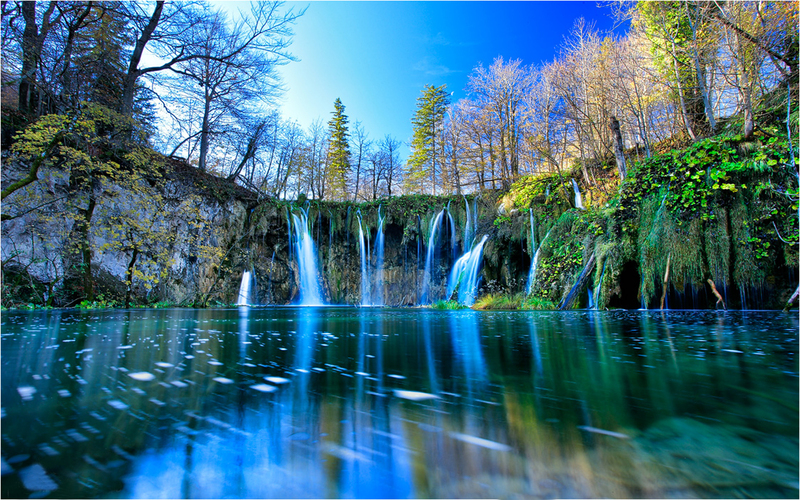 Plitvice Lakes National park consists of 16 beautiful and astounding lakes connected via waterfall. These lakes have their own unique colours. Long time ago before the First World War Romans, Celts and Ottomans fought over this beautiful place. However, things have changed now as presently it remains as UNESCO world heritage site. Oh Europe, Europe, Europe. Whenever we take the name this continent only beautiful vistas comes into our mind. Europe is filled with beautiful cities and picturesque monuments. Reykjavik, Iceland’s capital is famous for its breath-taking scenarios and beautiful blue lagoon. Over the years it has become a famous tourist destination for its steady temperature. The amazing thing about Reykjavik is that you can witness 24 hours of sunlight in the summer. One can witness the greatest amount of marine life with up to 20 species of Whales themselves. It is among the few places on earth where you can see the Northern lights. Formerly known as Burma, Myanmar is an underrated country when it comes to tourism industry. It is a complete shame for not acknowledging the beauties of this country. Nyaung Ohak offers some of the breath-taking floating markets and an abundance of historical sights. Presently, Buddhism remains the dominant religion in Myanmar. There are many authentic Buddhist temples which haven’t been renovated for centuries. A place where the sky changes it colors into unimaginable colors into front of your eyes. 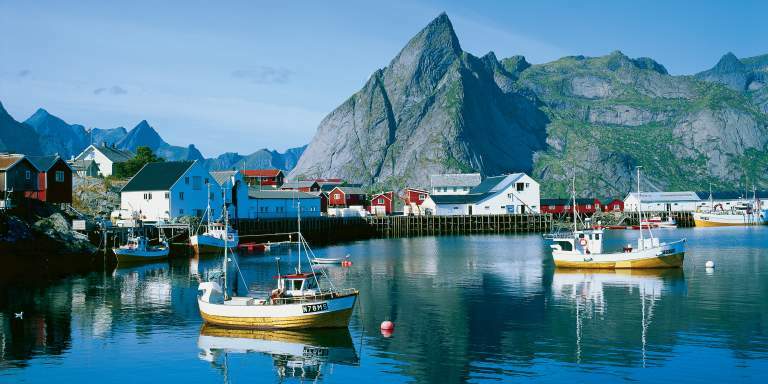 The adventurers consider Lofoten to be one of the quaintest place in the world. While wildlife and nature lovers can easily spot sea eagles, dolphins, sharks, whales etc. Researchers have found human inhabitation in this place dating to at least 11000 years old. Apart from being a famous pilgrimage for Jewish people Israel also offers a modern metropolitan lifestyle. Its malls, resorts, fancy hotels have been major attraction for the vacationers around the world. Eilat is named after the famous Red Sea, it is located near the bay of Eilat. This city offers a wide range of hot climate, tropical sea and picturesque scenes of wild bare granite mountains. Adventure sports enthusiasts can expect the best of water sports, diving adventures and coral reef watching. If none of these amuses then there is the famous amusement park known as king’s city. This amusement park is based on various biblical tales. Sometimes few people want to explore the most rigid terrains. In other words, they are looking for Deserts. However, the majority of the deserts are already explored by humans. Located between the Pacific Ocean and the Andes mountains, Atacama Desert is worth destination to explore. In the summers the sun almost kisses the land of this Desert. !!! 7 Most Beautiful Places You Must Visit Before You Die !! !